The book chat prompt this week is: What is a book you loved but didn't expect to. Or visa versa. 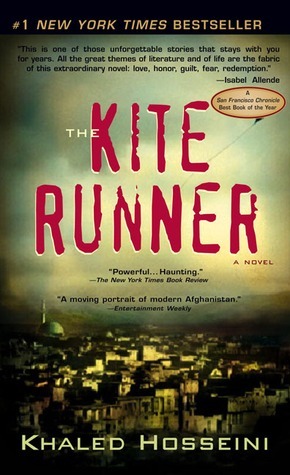 This one for me has to be The Kite Runner by Khaled Hosseini. It's not that I didn't expect to like it, it's just that I didn't expect it to get to me so much. It's not a normal genre or topic for me, but I read it back when I still trusted the Bestsellers list. I remember laughing, crying and gasping in shock while reading that book. I can honestly say that one deserved its spot on the Bestsellers shelf. I learned SO MUCH from this book and I think it's one that everyone needs to read. Another book I loved but didn't expect to was one I just read recently. Perfect Chemistry by Simone Elkeles. If I hadn't read so many great reviews about it, I probably wouldn't have read it. The cover is a little cheesy and the premise is a little "high-school'ish" for my tastes. However, it was pleasantly surprising! It was the first book in a long time to remind me what it's like to be young and in love. So many YA books I read aren't set in normal life circumstances, so the teens are far from normal. It was nice to read about normal teenagers for once. It was well written and very compelling. I would recommend it to anyone who likes YA and/or romance. 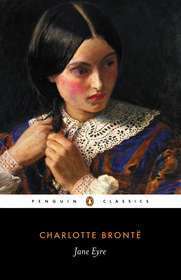 And lastly, Jane Eyre by Charlotte Bronte. You can read my little review here. I remember my excitement at actually finishing this book and reading it cover to cover. I used to groan and complain through the classics and would usually resort to Cliff notes when I could (shameful, I know). Reading this book was shocking..actually enjoying it was mind-blowing! It was dark, morbid, romantic and compelling. I actually couldn't put it down. After this, I tackled all of those Austen books I had sitting on the shelf. Somehow overnight, they didn't seem so bad anymore. I just had to start looking at them as actual books instead of nap-inducing snore-fests. Okay, so those are my choices for this week! If you're looking for the link-up form, don't panic! Since I am at Bonnaroo right now (woohoo! ), my friend Melissa at Press Play has graciously offered to guest host the link up this week! All you have to do is click HERE. Read her always awesome book chat post and just link up at the bottom! For next week, back at it's usual location: Share a book that a friend recommended to you and whether you liked it or not. Do you have friends that share your love of a certain genre? Do you have a bookworm buddy or are you a lone wolf? I love YA! Try reading Ellen Hopkins stuff! AMAZING!!!! I love Kite Runner! It's one of my favorite books ever. Have you read A Thousand Splendid Suns by the same author? I think I might like that one even more than Kite Runner- the protagonist is a female and it is just beautiful and heart wrenching. I am a big reader so I'm excited to follow along with your book reviews! Just found your blog and I love it! I am so glad you visited Books You Loved and will be fascinated to see what you choose to link up. Have a great week.